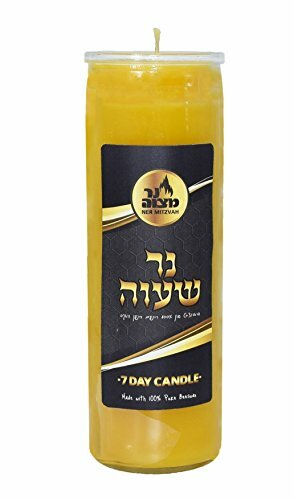 PAY RESPECTS This classic 7 Day memorial candle is designed to safely light a flame in honor of a yahrtzeit, for Yom Kippur, Yom Tov and other holidays, or for use in Synagogues and for other religious services and ceremonies. 7 DAY CANDLE: Perfect for use on Yom Tov, to mark the anniversary of a loved one's passing on a yahrzeit, or for memorials. PREMIUM QUALITY: Imported from Europe, these candles are made with high grade Besswax that melts slowly with a soft glow. SAFE GLASS JAR HOLDER: The holder is not only elegant, the flame burns safely inside its tall walls without risk to anything outside it catching fire. FREE STANDING: The self-standing candle does not require a tray, cup or candlestick. It can be placed safely on any surface or vigil site. Kind of Candle? 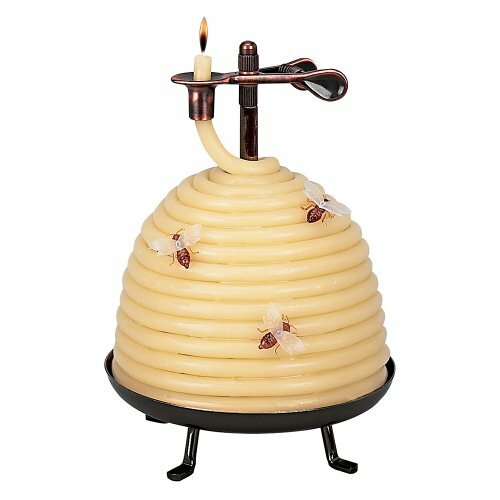 For mystical reasons, some have the custom to specifically use a candle made out of beeswax. The reason for this is , that the Hebrew word for beeswax is shaavah ( ), which is an acronym (albeit rearranged) for -Awaken and sing, you who dwell in the dust. This verse is an allusion to the time of the resurrection, when we will all be reunited with those who have passed on. 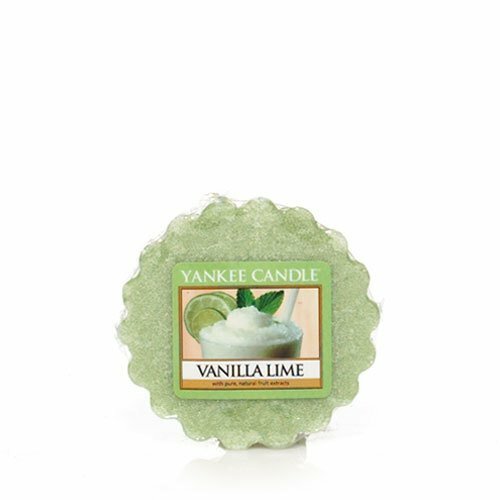 Use with any of our Classic or Electric Wax Melts Warmers.